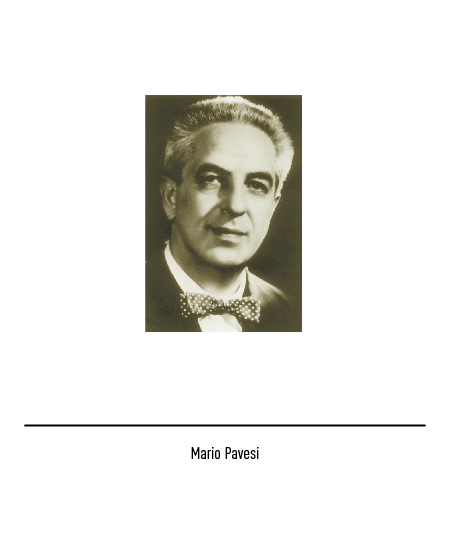 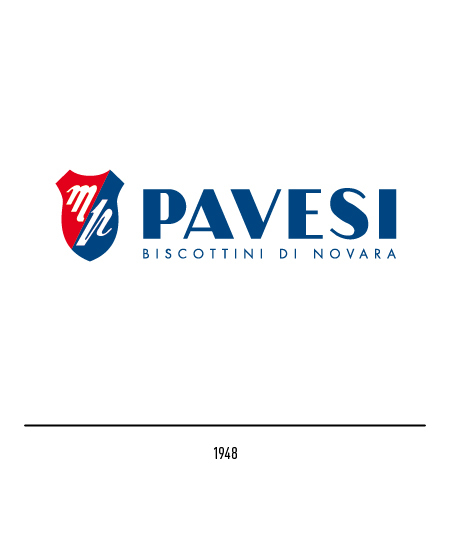 After working as a baker's apprentice for some time, in 1937 Mario Pavesi decided the time had come to open his own biscuit factory, the "Biscottificio Mario Pavesi", in Novara. 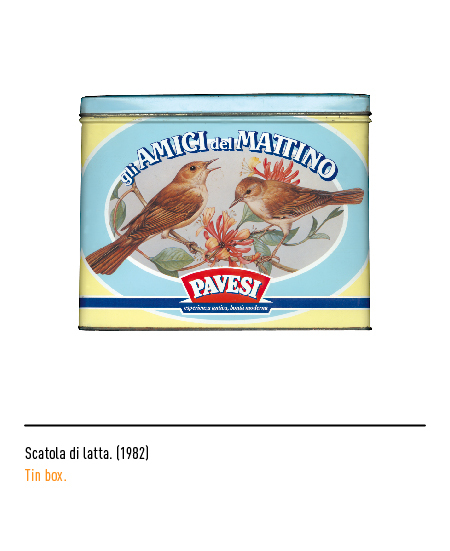 In the same year the firm's enterprising founder also drew up its first trade-mark. 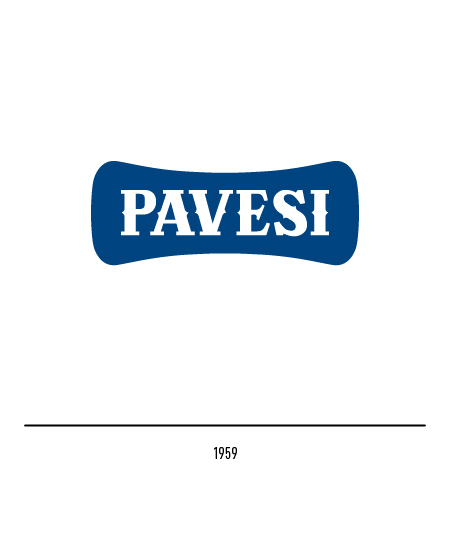 Simple yet effective, it portrayed the initials within a shield, a motif meant to confer the brand an air of tradition. 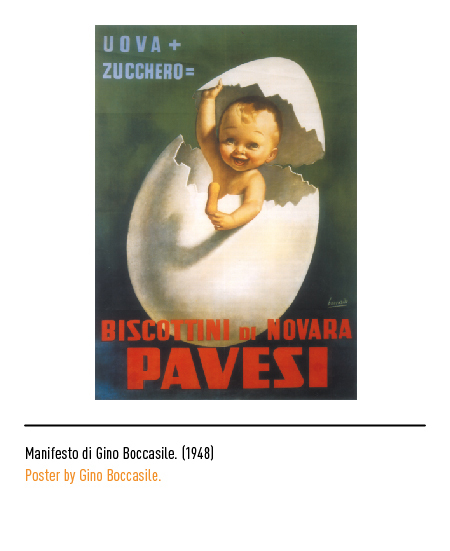 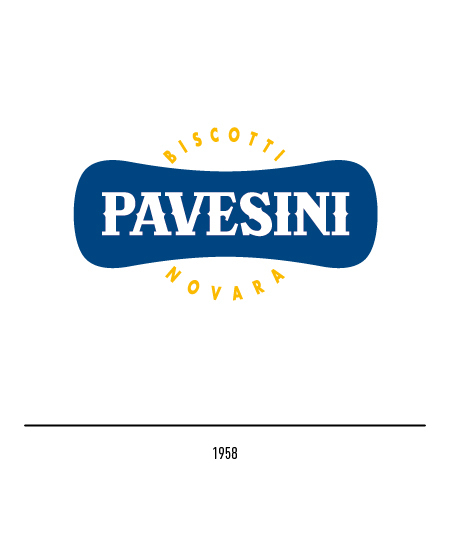 The name "Pavesi" itself was in block letters and accompanied by the wording "Biscottini di Novara" ("Dainty Biscuits of Novara") to underscore the house's speciality. 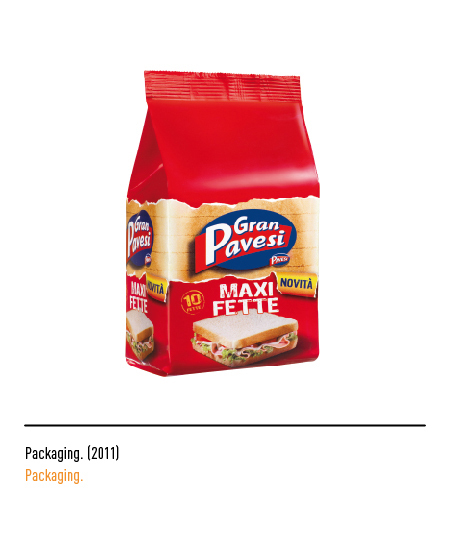 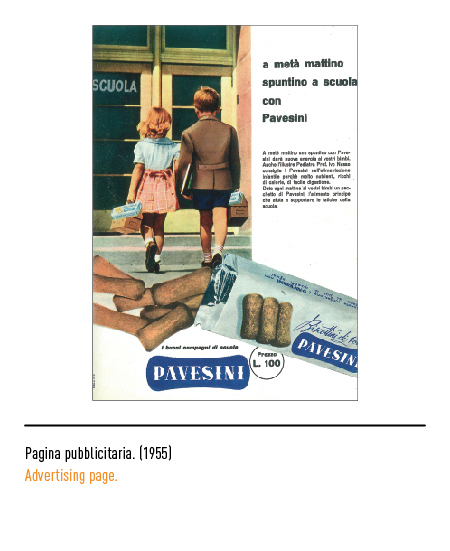 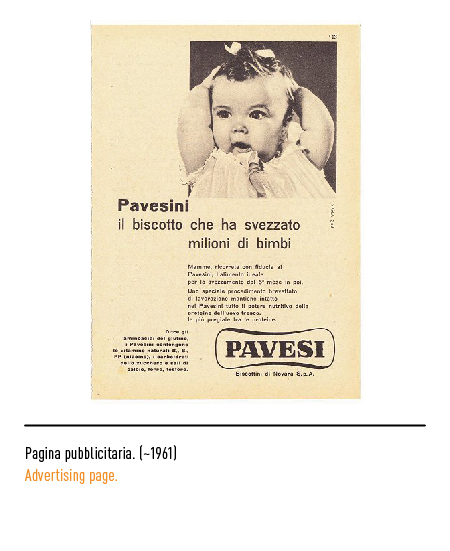 In 1952 the biscuits were renamed "Pavesini" with the wording "Biscottini di Novara" appearing in calligraphic lettering, thus making for an effective synthesis of the main elements characterising the still-budding firm. 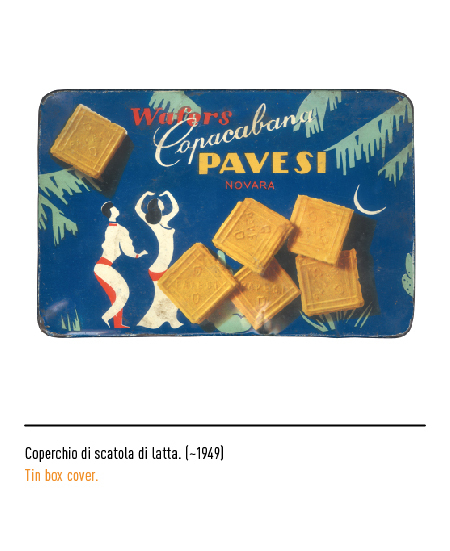 The shape of the biscuits themselves had been invented and patented by the founder in 1948 to distinguish the products of the house from those of the competition in Novara. 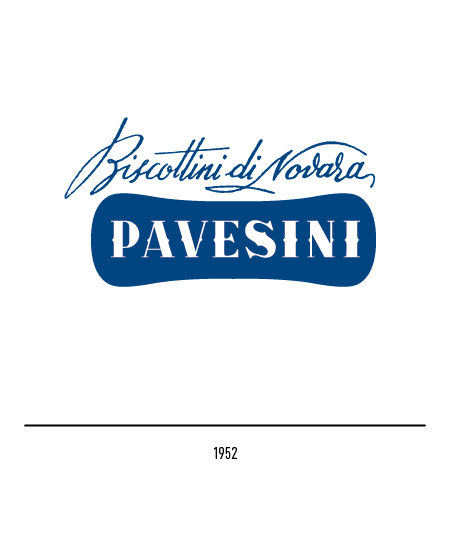 The shape of the new trade-mark followed suit in a clever design by the young Bob Noorda. 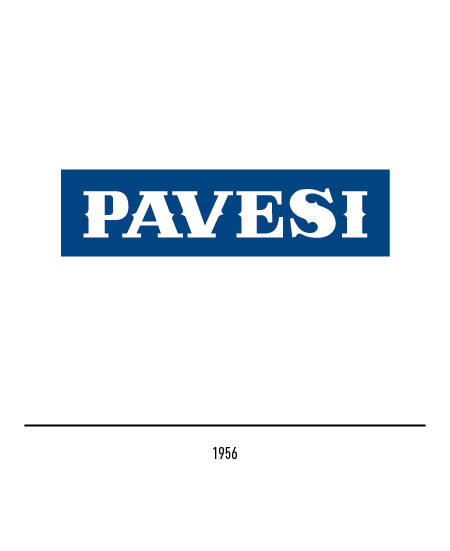 Several variations on the theme were to follow and in 1956 the name "Pavesi" was revived. 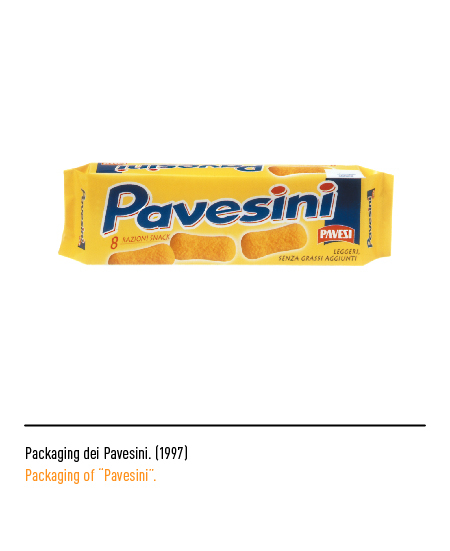 The reason for this was that even though the "Pavesini" were the house's front-liners, there was a vast range of biscuits each line of which had a distinctive name that required an incisive and instantly identifiable surname such as "Pavesi", appropriately highlighted in a blue rectangle, to bolster consumer brand awareness. 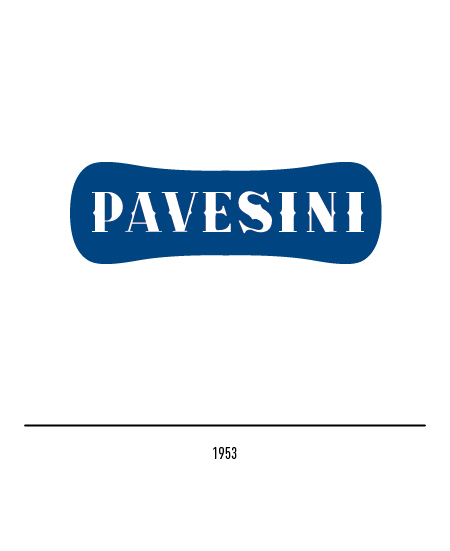 In 1958 the "Pavesini" brand logo itself underwent restyling. 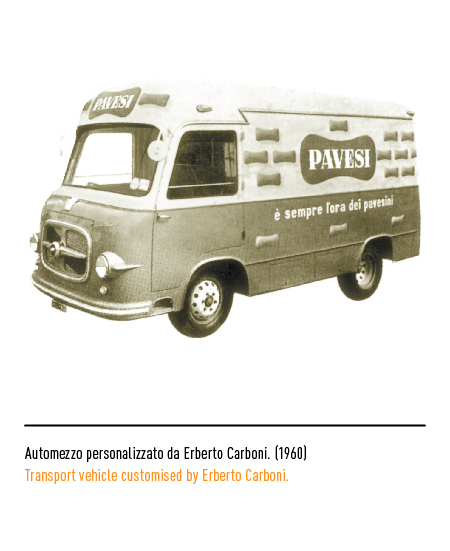 The following year an important collaboration began with the designer Erberto Carboni. 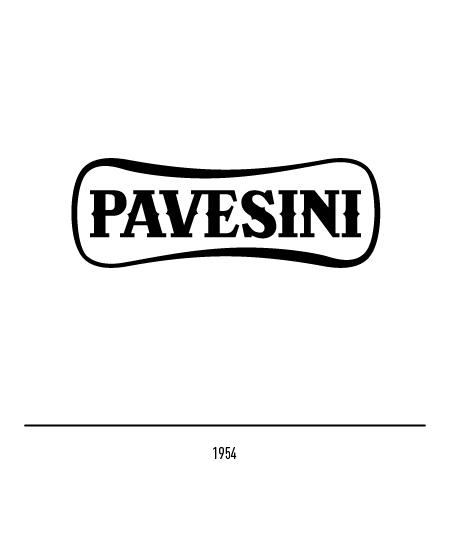 The trade-mark created by this designer was a highly effective fusion of the best in those that had come before with an extremely modern, clear, and refined style. 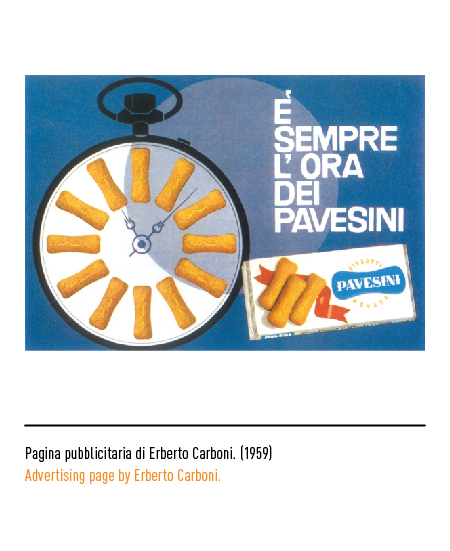 In either of its two versions, red and blue, this device was not only affixed to all house products but also appeared in every publicity campaign and was conspicuously displayed in outlets of the Autogrill motorway diners chain throughout Italy (see Autogrill). 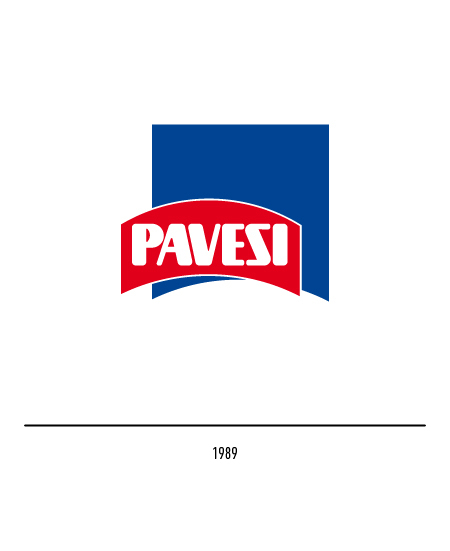 The popular slogan "È sempre l'ora dei Pavesini" ("It's always time for a Pavesini") cleverly set inside a clock-face was also coined and designed by Erberto Carboni. 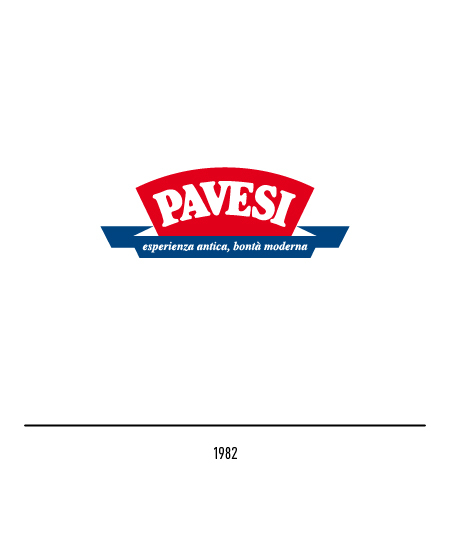 In 1982 a restyling operation enriched the trade-mark with several traditional and modern Italian signs. 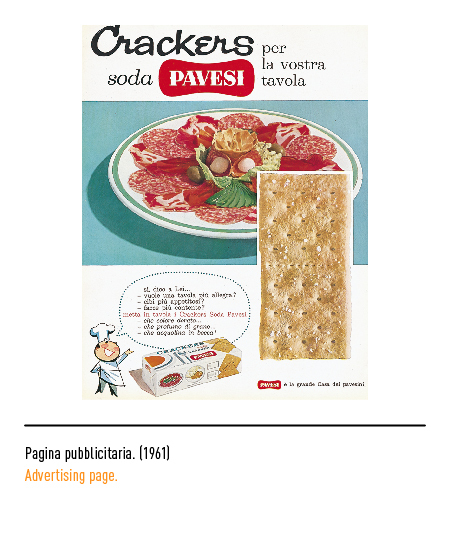 When the firm became part of the Barilla group in 1989 its trade-mark was once more changed. The arched configuration was meant to underscore the dynamism of the firm and to represent a sort of bridge between past and future, while the lettering lost its serifs and reverted to its linear style typical of the first trade-mark. 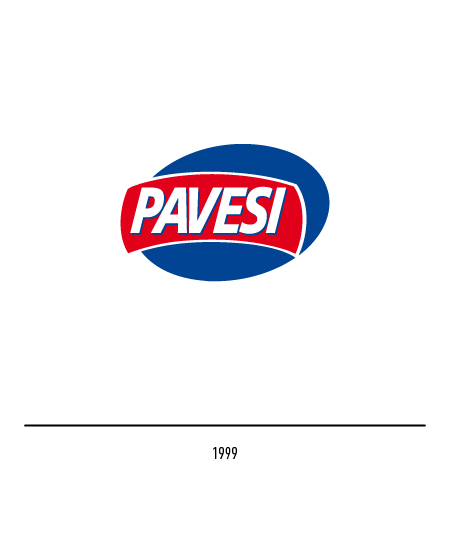 In 1999 an oval shape was adopted for the trade-mark but its colours were kept the same. 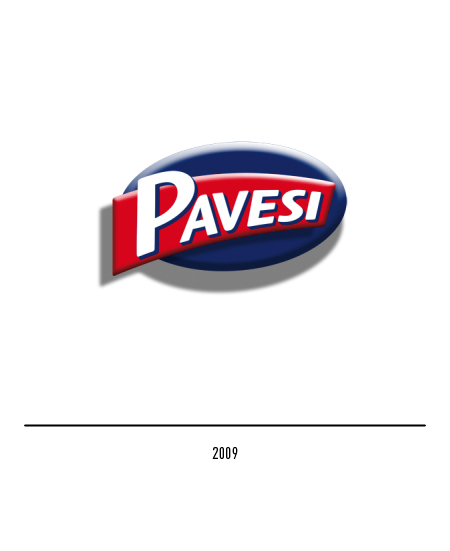 In 2009 a further restyling focuses on a three-dimensional effect. 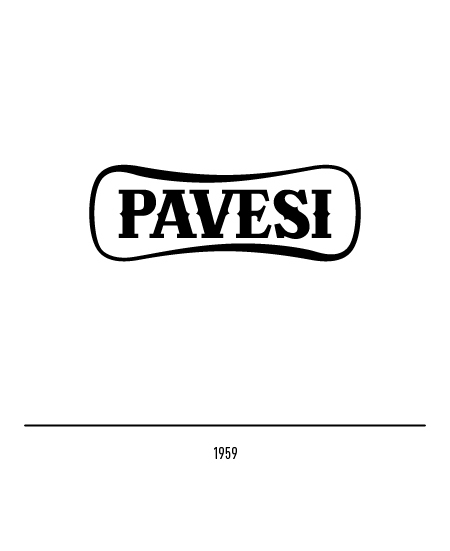 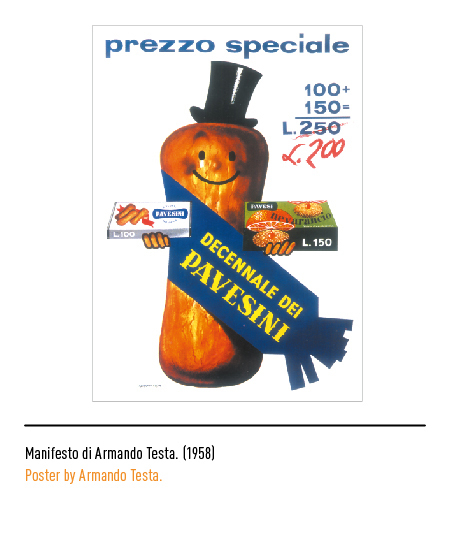 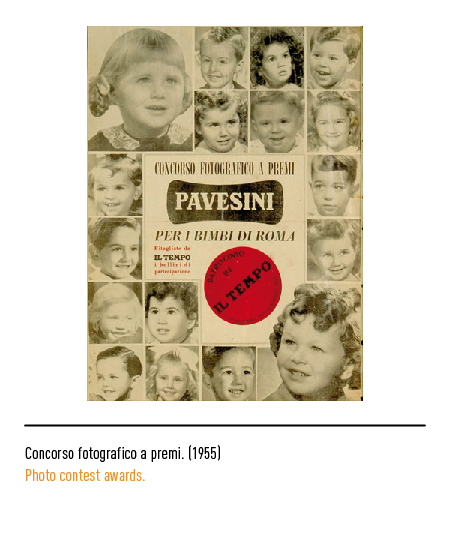 AAVV, L’ITALIA DEI PAVESINI 50 anni di pubblicità e comunicazione Pavesi, Silvana Editoriale, Milano, 1997.